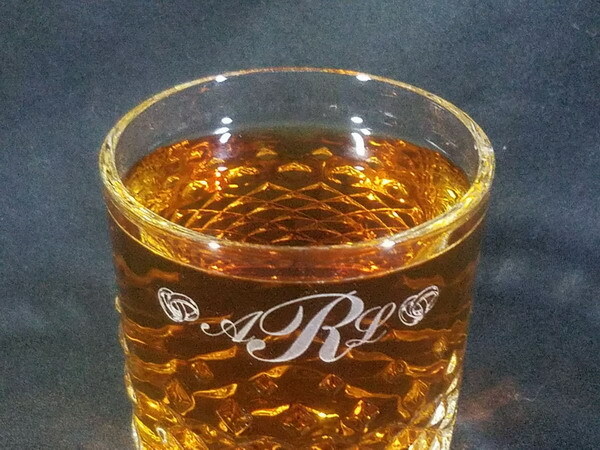 The Carats Double Old Fashioned features lovely diamond shaped textures on the lower three-quarters of the glass. 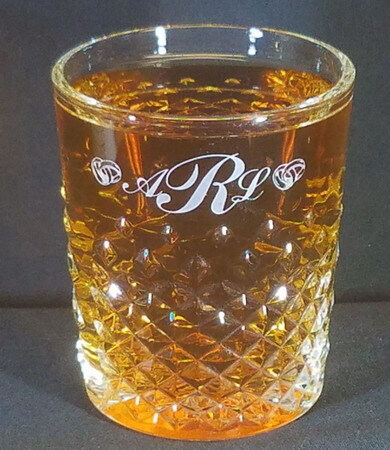 A classy addition to your home bar or as a gift for weddings, birthdays, anniversaries or any occasion. 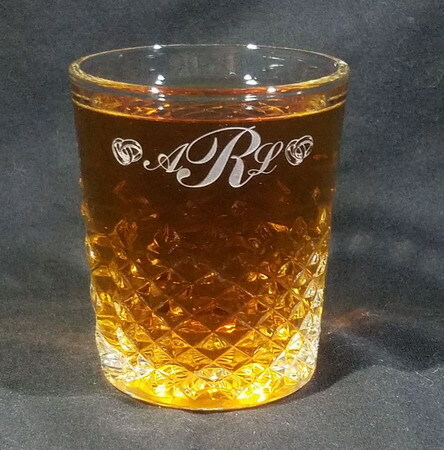 This personalized 12oz whiskey glass can have whatever you'd like on it, but because the usable area is limited to the top quarter of the glass it's best to not put too much on it. I'm happy to send you a proof or offer advice if you'd like.